Cuba Multi Centre Holidays @Web2move Online Since 2000. Luxury Holidays from Award Winning Travel Companies including Kuoni or Luxury Tailor Made Holidays by Travel Experts. Over the years we have helped many people arrange their Multi Centre Holidays Cuba & Cuba Tours from the U.K. We know that no multi centre holiday to Cuba is the same. Everybody wants something different. It could be your Honeymoon, Wedding or Special Anniversary. with the relaxation of an exotic beach holiday, in one of the popular hotels in Varadero. It is for this reason that it is very difficult to book Twin or Multi Destination Holidays online. That is why we recommend Tailor Made Cuba Multi Centre Holidays with ATOL and ABTA Operators building your holiday from a wide range of suppliers. CONTACT US for Information, Ideas, Advice or a guide to Prices and Availability. 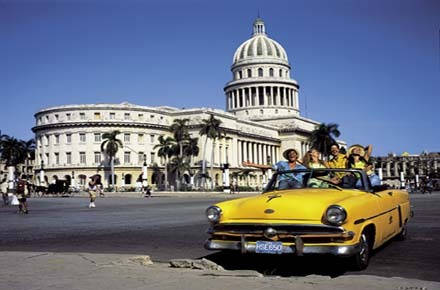 Havana is one of the most a captivating historic cities. With museums, theatres but also home to some of the best diving in the world just down the coast from Havana. Secluded beaches of the Cayos, including Cayo Coco, Cayo Guillermo, Cayo Sabinal. Holguin Beaches of Playa Pesquero, Playa Esmeralda, Yuraguanal Beach, Cayo Saetia. Trinidad (Cuba) is a UNESCO World Heritage Site boasting beautifully maintained colonial architecture and stunning churches and plazas, cobblestone streets lined with pretty pastel coloured buildings. Trinidad Beaches – Playa Ancon. The powder white Matanzas Beaches at Varadero. The beautiful French style town of Cienfuegos. Santiago de Cuba has a rich and colourful history. Havana is only a 9 hours 45 minutes flight from the UK and a perfect escape from the cold with the lowest temperatures averaging 22 degrees in February and much higher throughout the rest of the year. Online Since 2000. We have lost count of the number of times we have helped find the Perfect Combination for Caribbean Multi Centre Holidays.